Maxar Technologies (formerly MacDonald, Dettwiler and Associates Ltd.) (NYSE: MAXR) (TSX: MAXR) has announced that Mike Gold, Vice President of Regulatory and Policy at Maxar and General Counsel of the company's Radiant Solutions business, has been appointed to serve as a representative member of the NASA Advisory Council by Administrator Jim Bridenstine, where he will chair the newly formed Regulatory and Policy Committee — as an NAC member, Gold will be part of a group that advises NASA’s leadership on critical issues. 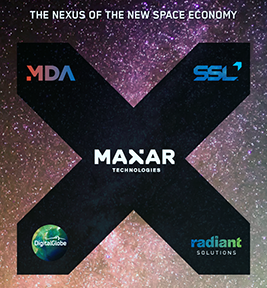 A strong advocate for the commercialization of space and a trailblazer in his field, Gold guides Maxar through the regulatory and legal landscape affecting the space industry, enabling the company to deliver on its promise of unlocking space for both commercial and government organizations. 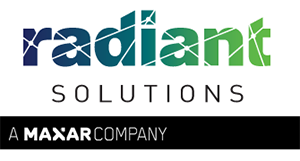 Additionally, Gold continues to serve as the Chair of the Federal Aviation Administration’s Commercial Space Transportation Advisory Committee. NASA Advisory Council members are appointed by the NASA Administrator and provide expertise and insight regarding the agency’s strategic plans, programs, and policies. Committee members, who serve for two-year terms, come from diverse backgrounds in industry, academia, government, and other sectors. Gold has written three law review articles and one book chapter on the intersection of export controls and commercial space; testified before both the U.S. House of Representatives and the U.S. Senate on space policy and ISS utilization; served as a private sector adviser to the U.S. Department of State for the United Nations Committee on the Peaceful Uses of Outer Space Subcommittee meetings; and supported the National Academies as a past member of the Space Technology Industry-Government-University Roundtable and the Committee on International Security and Arms Control as a space policy expert. Moreover, Gold is a recipient of the NASA Group Achievement Award for his role in the successful development and deployment of an experimental expandable space station module. Gold is admitted to practice law in New York and the District of Columbia, and he is a graduate of the University of Pennsylvania Law School. Gold said that while technical development is important, it remains equally important for regulatory and policy to keep pace. There are numerous challenges ahead on this front, particularly as NASA seeks to develop and execute additional commercial activities on the International Space Station and transition to private sector space stations. Industry is accelerating innovation for the new space economy, and developing policies wherein NASA can effectively leverage and partner with the private sector is vital,” Gold said. “This new committee will provide independent advice and perspectives to Agency leadership in support of NASA’s ambitious plans for increasingly utilizing public-private partnerships and bolstering commercial initiatives. These efforts present great opportunities but also substantial legal and policy issues that need to be addressed.